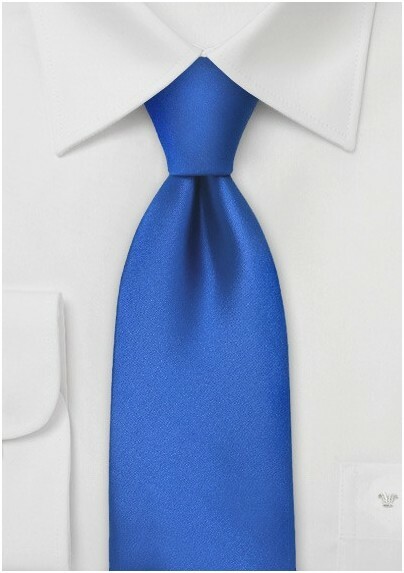 Get a carefree and classic look with this modern marine blue necktie. The luminous hue of blue is ideal for adding a splash of color to any ensemble. 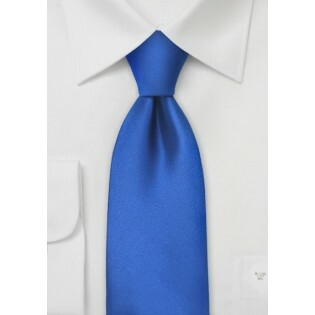 This tie is made from a high quality microfiber that is stain resistant and wrinkle free. For the season's freshest look, we recommend pairing this tie with a lightweight button down shirt and twill khakis with rolled cuffs. Complete the look with your favorite pair of loafers.